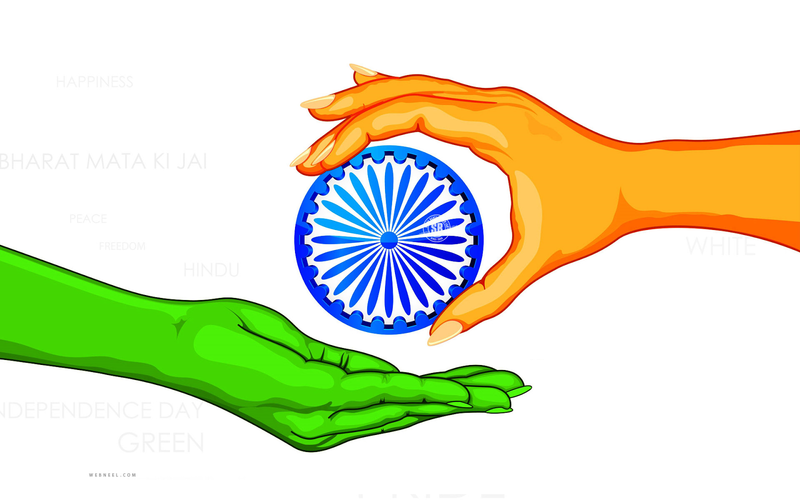 Both practised the principle of universal brotherhood. The name Ramanuja, given to the Acharya, by his maternal uncle Thirumalai Nambi, must have been given with great foresight. The lives of Sri Rama and Sri Ramanuja have many similarities. The word ‘Ayanam’ means the path. Hence Ramayana, the epic, means the path adopted by Sri Rama. One of the many laudable principles that Sri Rama followed was the practice of Universal Brotherhood. Rama accepted Guhan, boatman on the banks of the Ganga, Sugriva, Vanara king and Vibhishana, rakhasa as his brothers, though they were not Kshatriyas. Thirumangai Azhwar is all praise for Guhan, who helped Rama but never got anything in return. 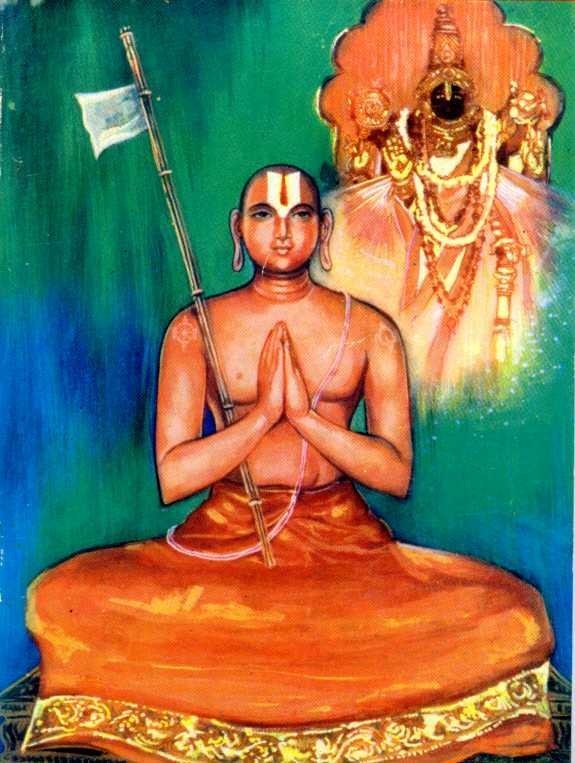 Guhan surrendered to Rama as Prabathi Saranagathi, which was propagated by Sri Ramanuja. The episode of Rama performing the last rites of the bird Jatayu is one of the moving scenes in the epic. Rama was born to Dasarata and Kausalya by virtue of Dasarata performing the Puthra Kameshti Yaga. The king longed for a son, who would be his heir. But Dasarata did not have the fortune of his last rites being performed by his first-born Rama. The privilege went to Jatayu. Rama accepted Jatayu as his father and performed his last rites. Athuzhai, daughter of Periya Nambi, on hearing his voice opened the door with hands adorned with tinkling bangles. The sound transported Ramanuja to Nappinnai Piratti’s period and he prostrated before her on the threshold, much to her shock. This action has a deeper meaning. Periya Nambi performed the last rites of Maraner Nambi, a Panchamar (non-Vaishnava). Hence, Vaishnavites at Srirangam excommunicated him and also ordered that Namperumal’s procession would not stop before his house. Through his gesture, Ramanuja indicated that he approved the act of Periya Nambi in performing the rites of Maraner Nambi. 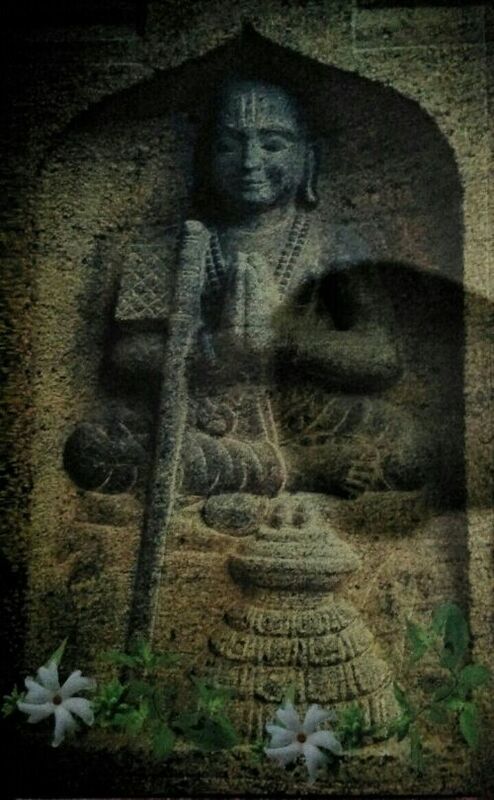 It was proved right, as the next day the persons carrying the idol of Namperumal had to stop in front of Periya Nambi’s house. They found that the idol had suddenly gained weight and had to halt for respite and to change shoulders. The temple authorities had to accept the verdict of the Lord and take Periya Nambi back into the fold. 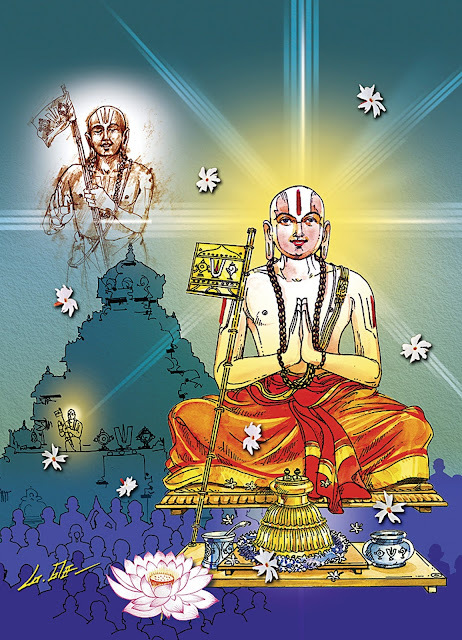 Ramanuja’s accepting of Kuresan as his pavithram and his courage in requesting Thiru Kachi Nambi, a vaisya, to be his guru underline his egalitarian outlook.. Ramanuja treated Thiru Kachi Nambi as his manasa guru and learned much from him and approached him for guidance on many occasions. 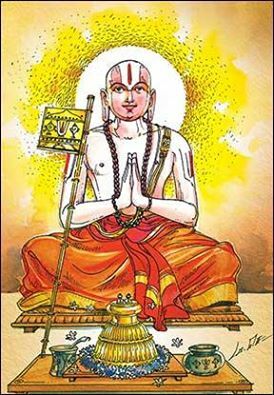 Rama’s Ayanam and Ramanuja’s Ayanam are similar in that they both practised what they were taught and what they preached.